Blockbusting is a method of manipulating homeowners to sell or rent their homes at a lower price by falsely convincing them that racial, religious or other minorities are moving into their once segregated neighborhood. It is illegal to engage in blockbusting. Example: A real estate agent hires a black woman to walk her dog in an all-white neighborhood. He then places his real estate card in all the mailboxes on the block, offering to buy their houses right away at a discounted price. The goal is to convince the property owners that he is "helping them out," because their home values will decline due to the influx of minorities in the area. Treating an individual differently because they belong to a certain class of people is illegal. When it comes to any activity that relates to housing, all classes of people must be treated equally. 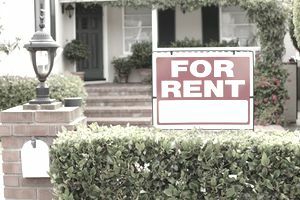 The goal of this act is to end discrimination in renting and selling and in mortgage lending. Using race to attempt to get homeowners to sell their homes, otherwise known as blockbusting, would be illegal under the Federal Fair Housing Act. If an individual believes they have been a victim of housing discrimination, they can file a claim with HUD. You should also check your local state's laws. Many states actually have their own Fair Housing laws which protect classes in addition to the seven original that are protected by Federal Fair Housing. That are certain factors that are in your control that can cause the value of your property to decrease. These factors include not keeping up with property maintenance. If you have an overgrown yard, it will negatively affect the price you will be able to list your house at. By simply cutting the grass, your property will have better curb appeal and you may be able to charge slightly more because the home looks cared for. Mortgage Rates: When mortgage rates increase, people are not able to get as much for their money. The same house that they would have been able to afford before rates were increased, may now become unaffordable because their monthly payments will be higher. Therefore, to appeal to the same buyer, you may have to lower your homes price to get it to sell. Weather: If a natural disaster occurs in the area where your home is located, it can cause the value of your property to significantly decrease. For example, a hurricane may cause significant flooding in an area that never had issues with flooding. Your property may now be classified in a flood zone, which will make people more apprehensive about buying. It will be more difficult to sell your property for top dollar. Short Sales/Foreclosures: Another factor that can cause your property value to decrease are short sales or foreclosures in the neighborhood. When trying to determine the value of your home, an appraiser will use comparables in your neighborhood. Even if the similar properties are short sales, the appraiser will still use them to price your home, decreasing the value of your property. Potential buyers may also be hesitant to buy in your neighborhood if there are a large number of short sales or foreclosures. They could be concerned that the neighborhood is on the decline.